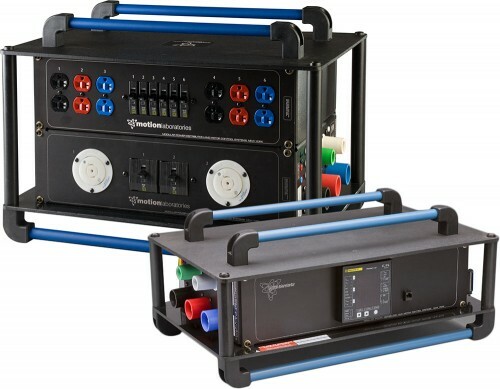 Motion Labs Stackables and Trade Show Distros provide branch power distribution at locations where an entire rack is not necessary or practical. 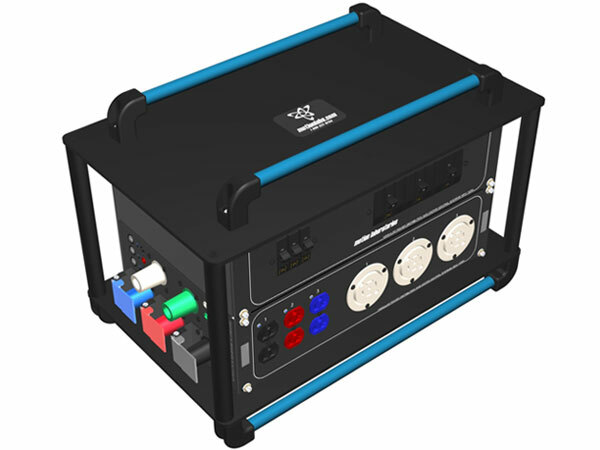 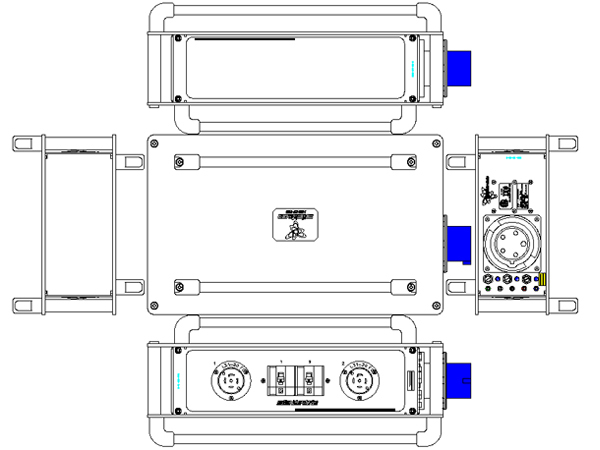 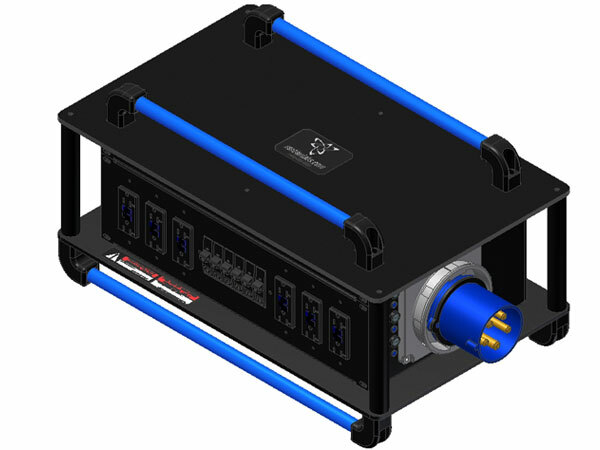 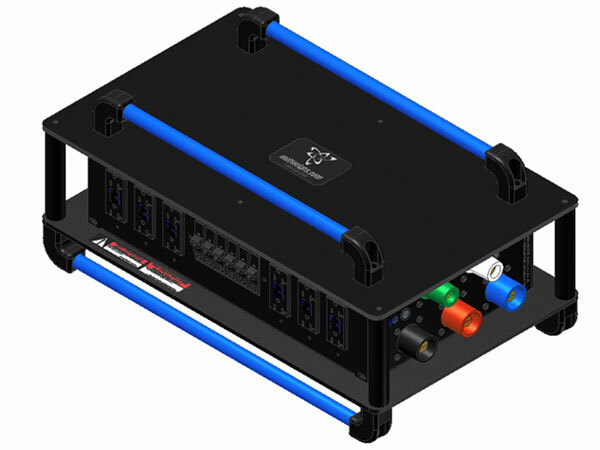 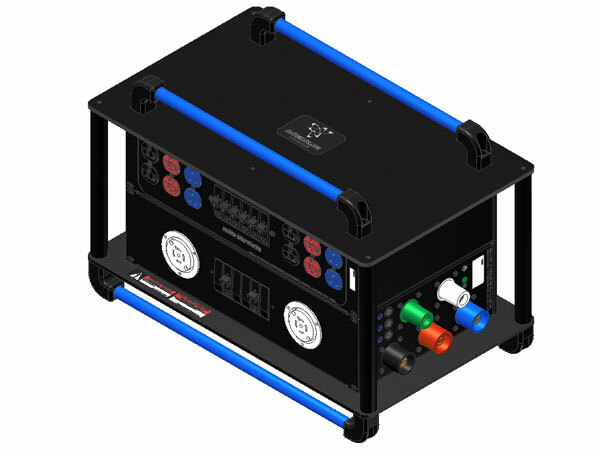 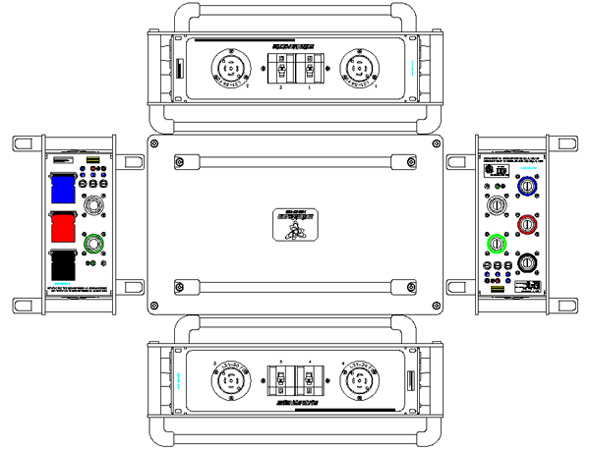 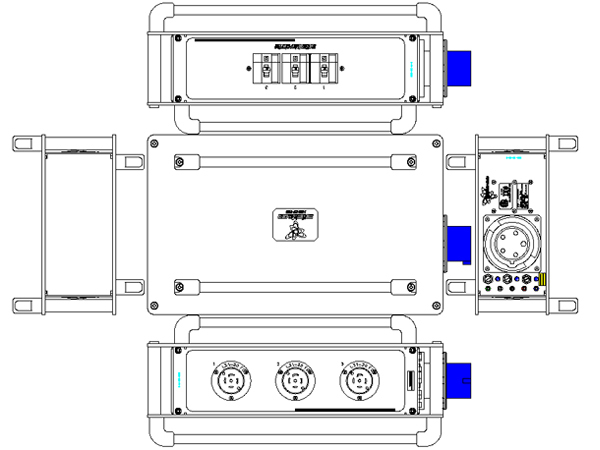 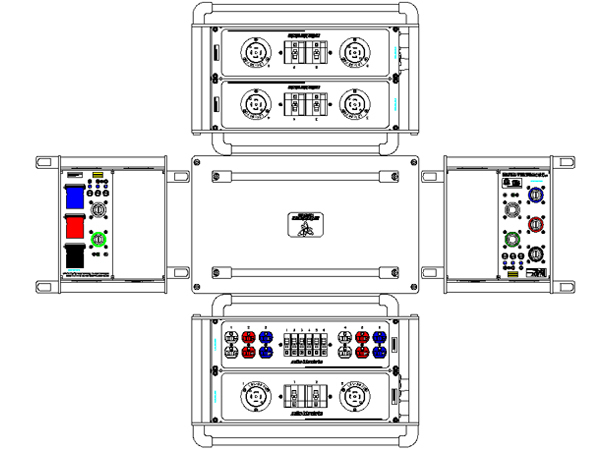 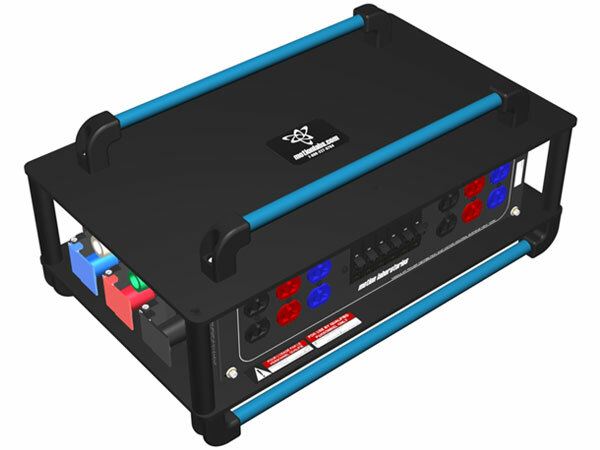 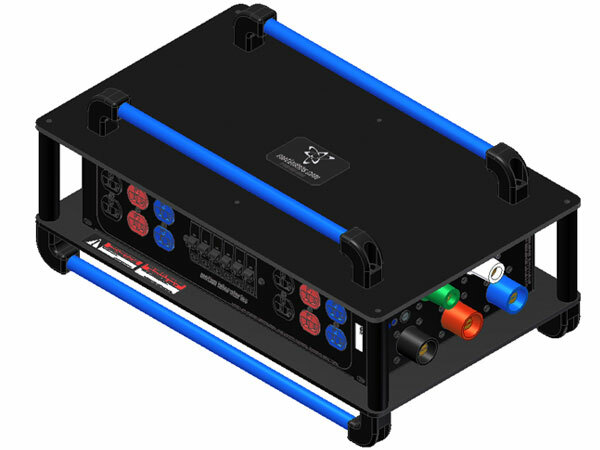 These products are full on portable power distribution units without the case. 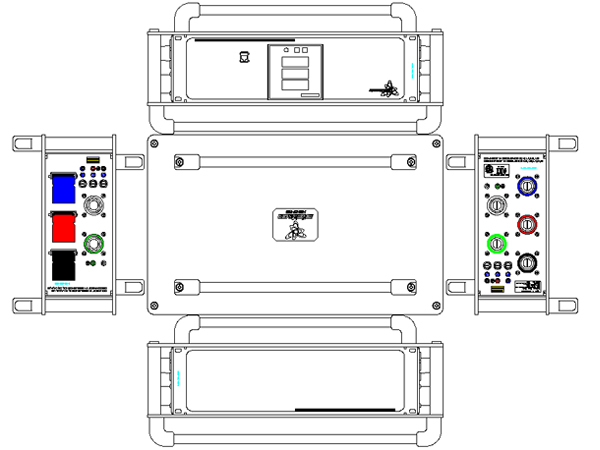 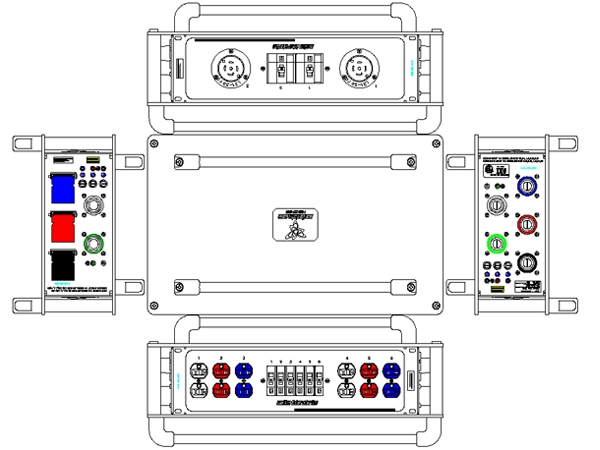 Stackables are based on standard 19” rack width panels. 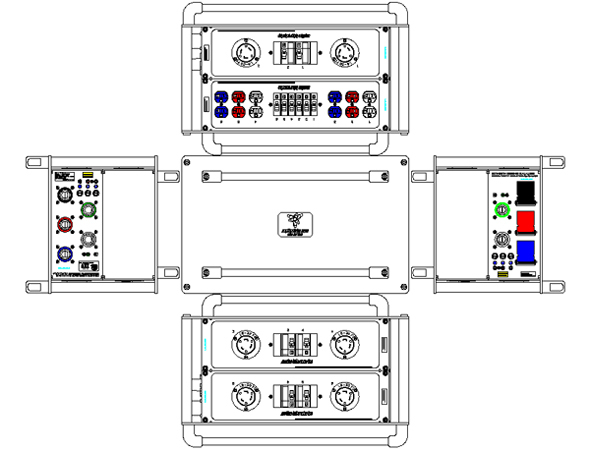 They are manufactured from .125” aluminum with a variety of finishes available and use a rugged Boltaron top and bottom chosen for both its durability as well as flame rating. 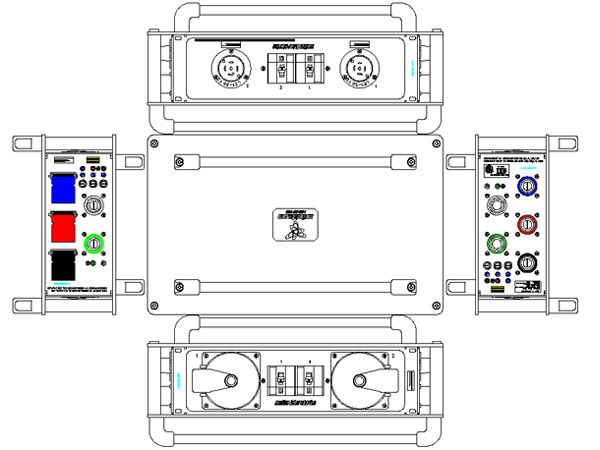 Units are fitted with sturdy aluminum tubes mounted with high impact end caps top and bottom that double as handles and feet. 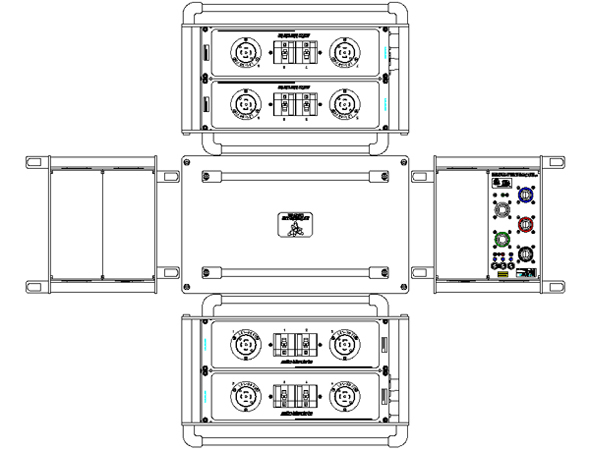 This allows the units to nest and stack for storage. 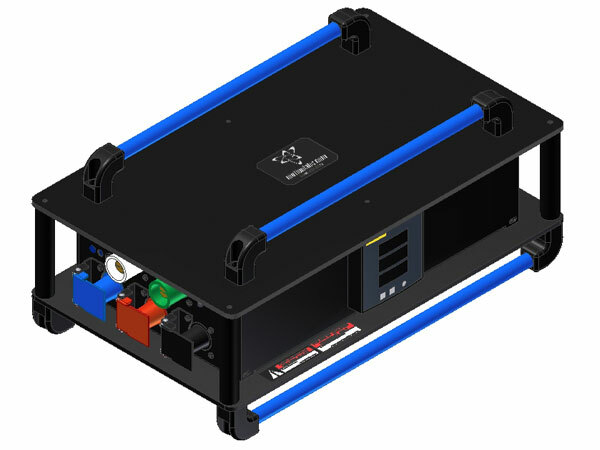 Our Stackables are available in one or two tiers, each tier is 3RU in height. 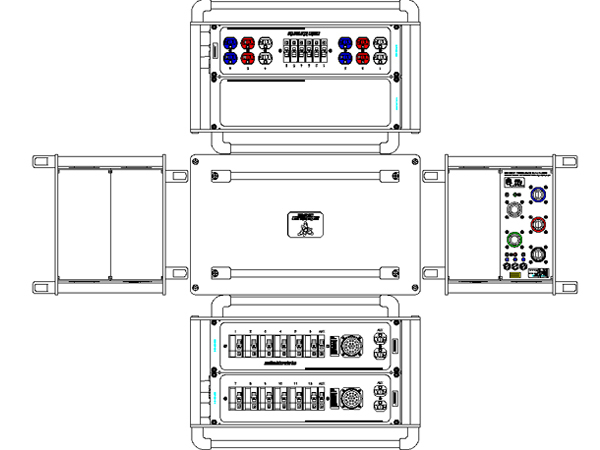 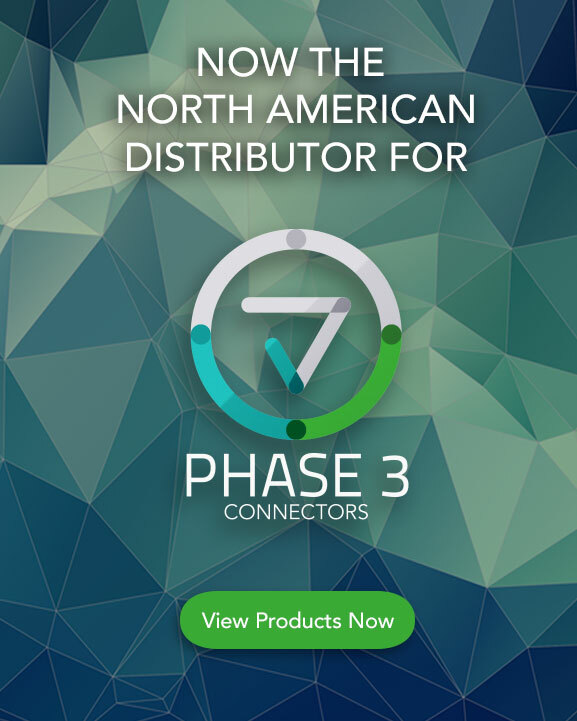 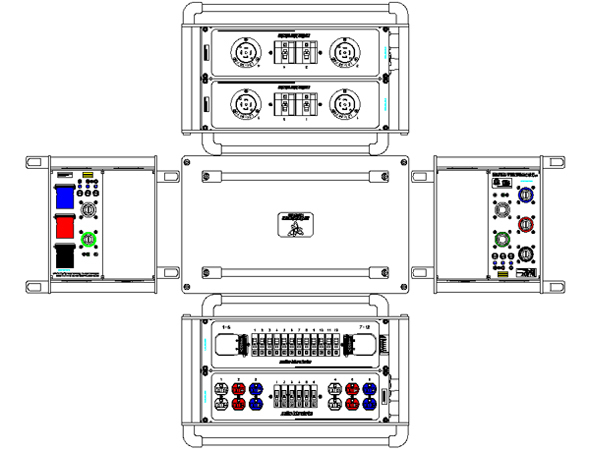 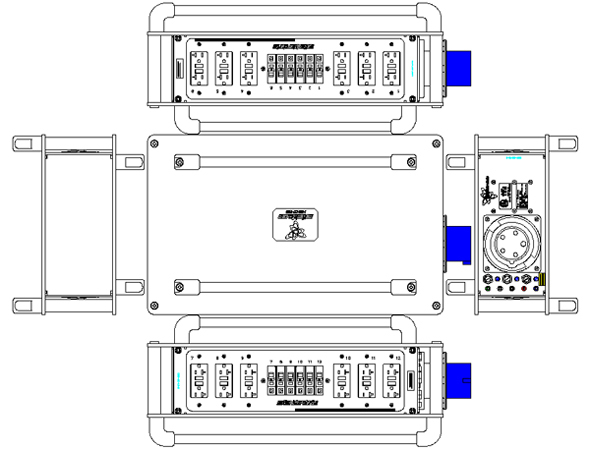 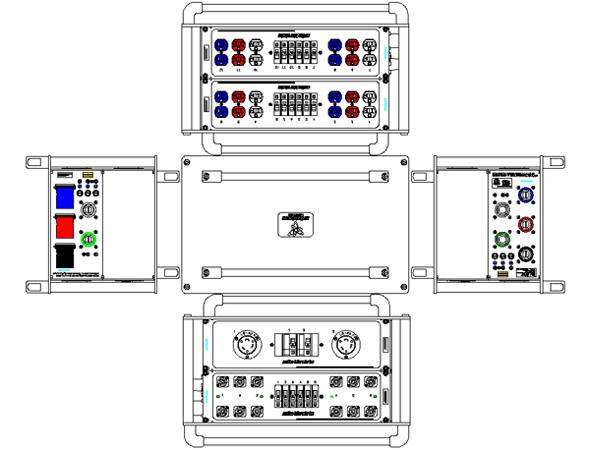 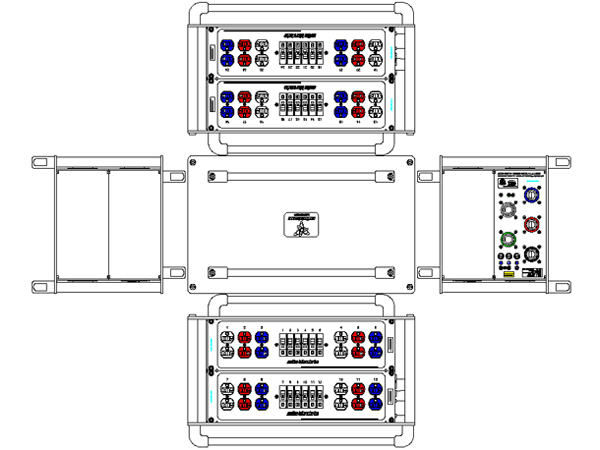 Each tier offers the ability to add breaker/connector combinations that fit your bill. 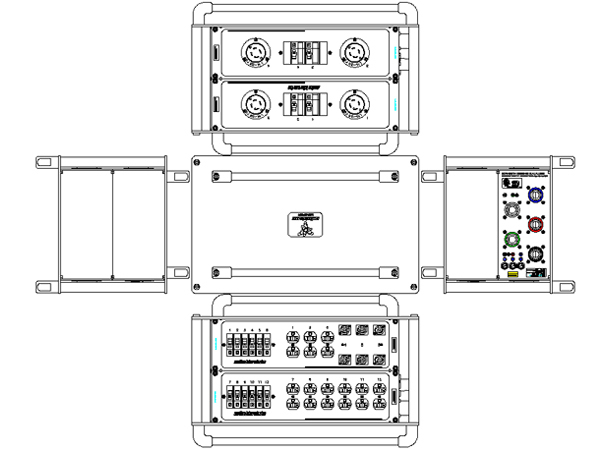 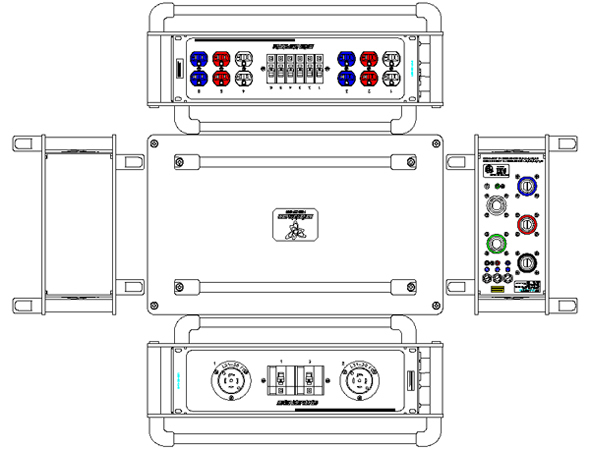 Designed with all of the modularity found in our modular power distribution line, we offer a full library of panel options. 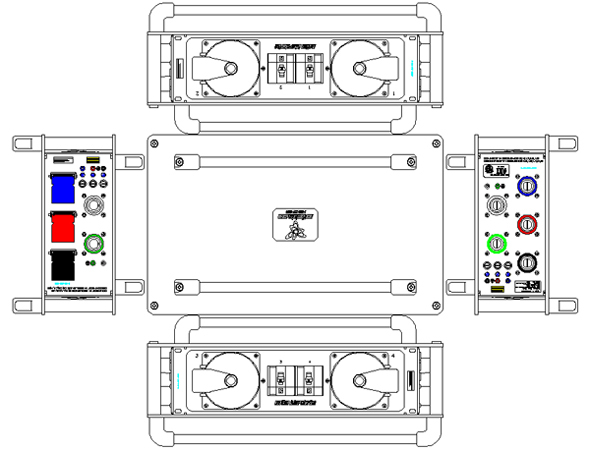 The input capabilities extend to 400A Cam-Lok in/pass through.